The Los Angeles Lakers completed a rare trade with the Clippers on deadline day, sending 21-year-old center Ivica Zubac and veteran Michael Beasley across the hall in exchange for stretch big man Mike Muscala. The Lakers currently rank 27th in the NBA in three-point percentage and dead last in free throw percentage, so they attempted to rectify the problem with Muscala and a previous trade with the Detroit Pistons for sharpshooter Reggie Bullock. Most LeBron James-led teams have focused on surrounding him with shooters in order to maximize spacing and punish defenses who get caught trying to pack the paint. Last summer, the Lakers zigged where others zagged, adding veterans like Rajon Rondo, Lance Stephenson, Beasley and JaVale McGee. 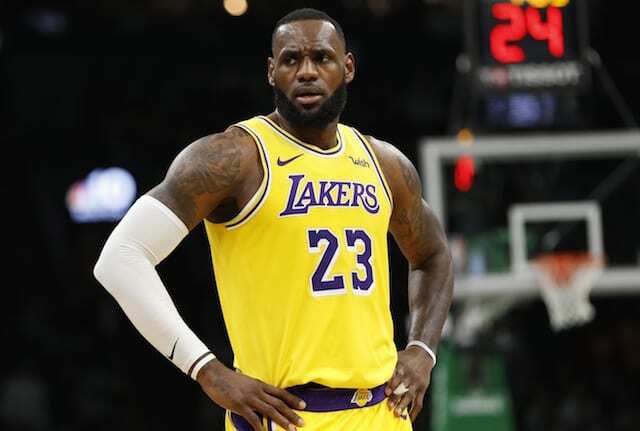 None of these players are known for their marksmanship, and despite assertions that the Lakers would look to take some of the playmaking burden off of James with Stephenson and Rondo, the Bullock and Muscala trades were a sign that they are changing course. Without overtly saying it, the Lakers are admitting that the way they constructed the roster was a mistake. They can, and perhaps should, be criticized for bucking conventional wisdom last summer, but at least they aren’t compounding the issue by keeping the status quo. In Bullock, the Lakers are essentially getting the player they hoped Svi Mykhailiuk would eventually become, at the cost of the two years of team control on Mykhailiuk’s deal and a future second-round pick. It’s a reasonable risk for a team that needs to make a playoff push now. However, the Zubac trade is one that could come back to haunt the Lakers. Adding shooting is a worthy goal, and a stretch big was needed after they parted ways with Brook Lopez last summer (who is averaging 2.1 blocks and 2.5 threes at 39 percent from deep that he’s putting up for the Bucks on a deal worth just over $3 million). Muscala can fill that role, shooting 37 percent from three for his career and possessing the ability to flex between center and power forward. While Muscala is far from Lopez’s caliber, he fits a real need moving forward assuming the Lakers aren’t ready to put Moritz Wagner into a larger role. Losing Zubac, however, is a steep price to pay in order to atone for the sins of last year’s free agency. The third-year center was having a resurgent season after a down sophomore campaign, averaging 8.3 points and 4.8 rebounds while shooting 58 percent from the field and 86 percent from the line in 15.2 minutes per game. 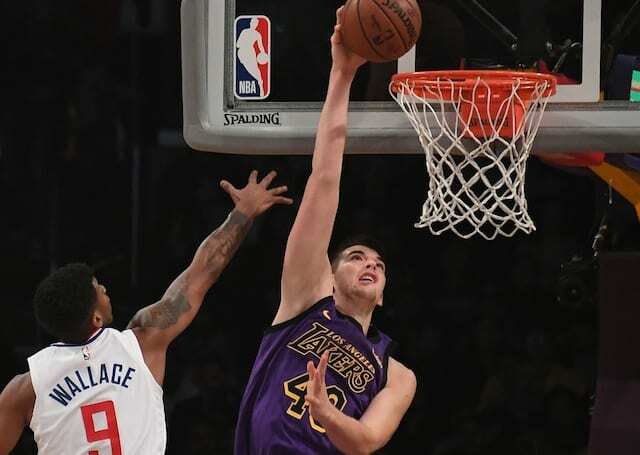 In 12 games as a starter, Zubac produced 11.7 points, 6.9 rebounds, and 1.3 blocks, suggesting that he has the potential to eventually lock down a starting job. His defensive improvement was also noticeable as he was a plus defender on all areas of the floor while negatively impacting opponent’s field goal percentage by over 10 percent at the rim, which is in line with some of the best centers in the league. The fact that nearly half of his minutes came as a reserve, and thus against lower quality opponents, will certainly skew that stat, but it’s impressive nonetheless. At times, Zubac has looked like the Lakers’ best option at center, outplaying veterans McGee and Tyson Chandler. His exit continues a trend, as the Lakers also allowed young bigs, Thomas Bryant and Julius Randle, to leave last year, and both have thrived in their new homes. Zubac will hit free agency this summer, and it’s possible that he simply wasn’t part of the Lakers’ future plans as they hope to spend big on stars. Still, he was a find with the 32nd pick in the 2016 Draft and the sense around the league is that the Lakers sold low on him. To be fair, the Lakers did free up a roster spot, so from their perspective, the deal truly works out to Zubac and Beasley for Muscala and whoever they sign, with rumors suggesting Carmelo Anthony and Markieff Morris are among the players they will consider. However, the Lakers also could have created a roster spot by simply waiving Beasley. In essence, that means that the Lakers had to decide between having Zubac and a free agent or Muscala and a free agent, and they opted to go with the player with less upside due to their immediate need for shooting, which stems from mistakes made during the summer. Zubac will slot in as the starting center for the Clippers, who the Lakers are competing with both for a playoff spot and for free agents come the offseason. The nightmare scenario for the Lakers is that they may have just given their cross-town rival a long-term solution in the middle in exchange for a high-level backup in Muscala. In the present, the risk for this move is relatively low. McGee and Chandler can hold down the fort at center just fine and Muscala provides a nice stretch option that could be useful for the playoff push. In the coming years, however, if Zubac fulfills his potential, the Lakers may regret letting him go.